App freezes on launch screen. Freezes on an empty green/black gradient screen. I can never watch a show without having to close down and reopen the app after EVERY ad. Please please PLEASE update this app. There so much lag time, and it doesn’t matter what platform I use this on. Constantly backtracking to sync up the voices. It’s SO FRUSTRATING. Better than nothing, but if the app would just play smoothly on a computer or a phone I’d give this five stars. 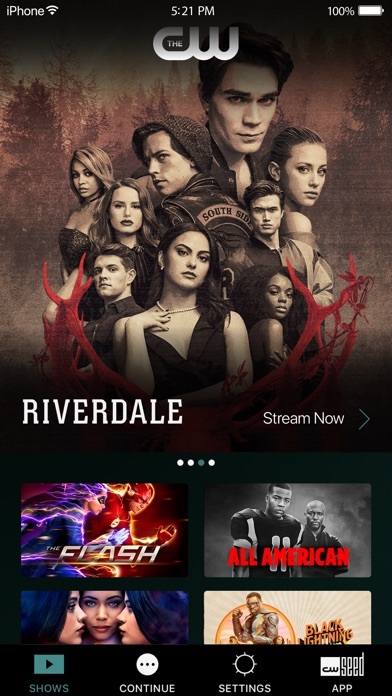 This app is great for watching episodes of your show that are on tv at the moment. 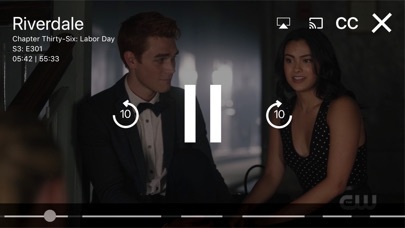 But I really wanted to watch riverdale and I did watch it when it was on Netflix so then I went to watch it on the app and I could not get season 3 from the start. 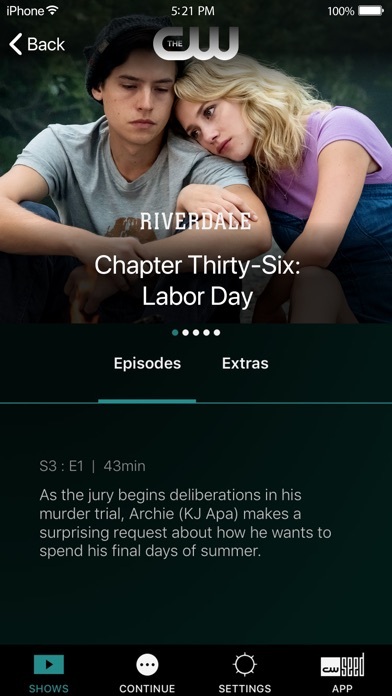 This is really annoying because I know they say they only stream the latest episodes but what is the harm in putting the whole season on the app if anything it would make the app more popular and therefore boosting the amount of pay they make. So this app was completely useless for me because I can stream it from the beginning. At first I gave the app a three because I was able to watch my favorite shows with minor technical issues. Now I’m give it a two because I have experience a lot of glitches and my screen going dark. I have restarted the app every time after a commercial because the show won’t pop up or because it’s froze on the commercials and my show will continue to play. I love the CW shows!!! But this app makes it hard to replay a show you want to watch over and over again. It’s impossible. Is there a trick. I do love the fact that you can watch the shows with limited commercials although I wish you could watch them without the same commercials allllllll the time!!! Aside from the replay not working I like this app. The CW App seems to go through phases where it works seamlessly after one update, but then is riddled with glitches after the next update. The current glitches make it almost unbearable to watch any show as it buffers and skips almost every 3 minutes. You would imagine there would be more intelligent tech teams attending this app for such a large network, but apparently subpar is passing over at the CW.